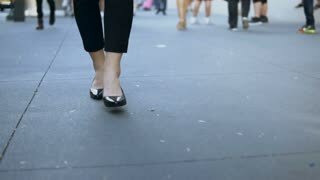 Close-up view of young female walking through the downtown. Businesswoman wearing black shoes with heels. Slow motion.